The Forks YMCA Education Center is a DPW licensed facility and accredited by PA Keystone STARS. The YMCA provides high quality early childhood and school age programs that enhance youth development to include community partnerships, enrichment programs, family fun nights, annual health screenings, and parent workshops. Got Twins? Triplets? Looking for support from other women who understand the joys and hardships of parenting multiples? Founded in 1959 by Mrs. Ann Corvino, our club is a registered member in good standing with the Pennsylvania Mothers of Multiples Organization. Our Mission is to inform, encourage and support moms of multiples in a friendly and positive environment. Our membership is open to all moms/guardians of multiple birthed children or anyone expecting multiples, biologically or adopted. 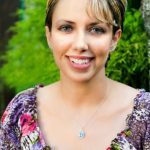 Ronee Welch is a certified pediatric sleep consultant, integrative adult sleep coach, infant massage educator, lactation counselor, and facilitator of the Love and Logic Early Childhood Parenting Made Easy™ curriculum. She is also the author of the new e-book called "All Things Sleep: Kids!". She works both one-on-one and in a classroom setting, as well as online to take care of her clients' needs. She offers free initial phone calls if you'd like to learn more!